The 2015 National Post-Consumer Non-Bottle Rigid Plastic Recycling Report, released in March of 2017, is the 9th annual report focused on reporting pounds of post-consumer non-bottle rigid plastic, for both packaging and non-packaging, recovered for recycling in the US. Research for this report was conducted by Moore Recycling Associates on behalf of the plastics division of the American Chemistry Council. Data collected for this study is compiled through a voluntary annual survey that also gathers data on bottles, films and other plastics. Data specific to non-bottle rigid plastic was gathered from mixed rigid plastic and non-bottle material segregated by resin and product type. For the 2015 report, a minimum of 1.24 billion pounds of post-consumer non-bottle rigid plastic were reported as recovered for recycling in 2015 which marks the second highest year on record and nearly four times greater than what was reported eight years ago when the study was first conducted. Because participation in this survey is voluntary, data in this report is not a complete representation of the total market, therefore, values reported in the study represent the minimum amount of plastic recovered and sold in the market. The 2015 edition reported that polypropylene co mprised the largest proportion of the non-bottle rigid plastic recycled for this year, at 41%, up from a reported 38.3% in the 2014 report. This marks the 5th year in a row that PP has been reported as the highest percentage of material recycled in this category. The increase in PP volume can be attributed to an increase seen in mixed resin rigid bale categories as well as PP mixed rigid bales. 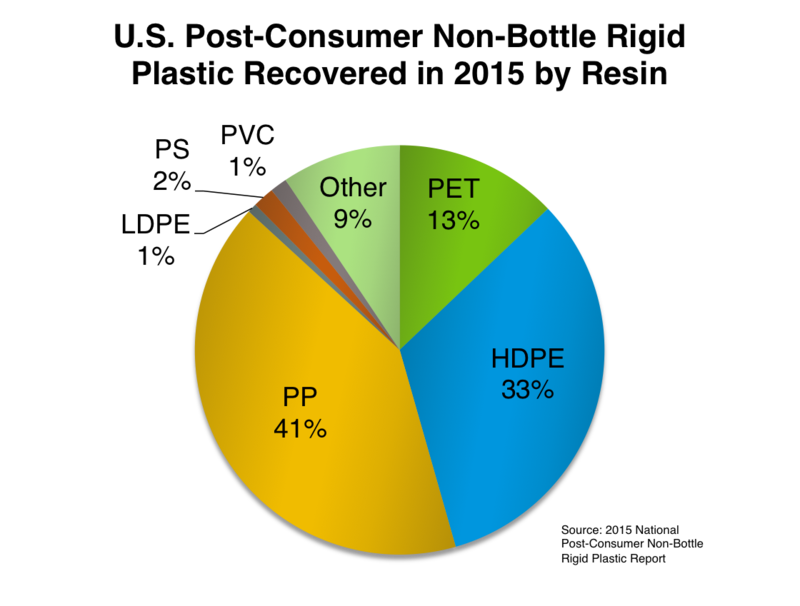 Second to PP was HDPE at 33%, down from 34.1% in the 2014 report. PET also increased over the previous year from 11.8% to 13%. 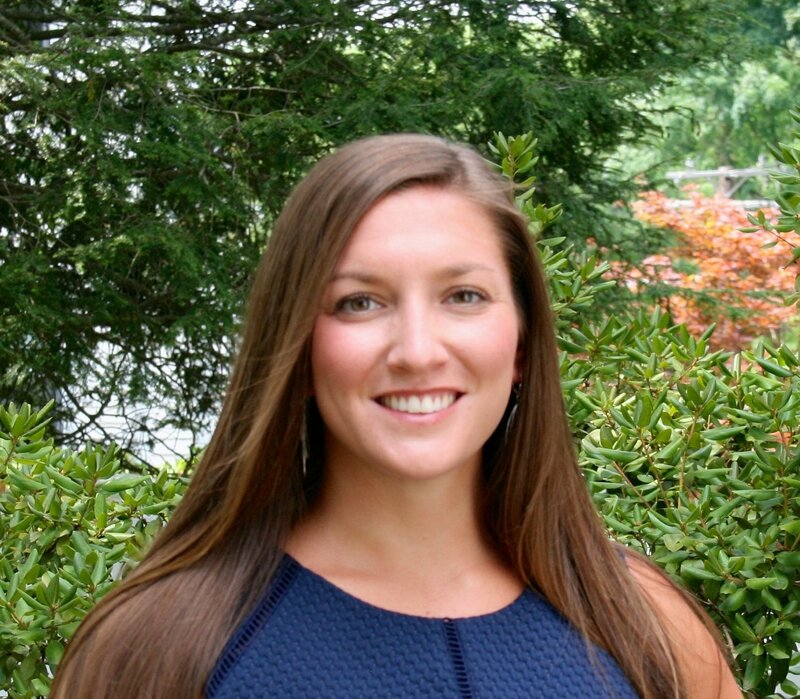 The findings of this study can serve to encourage converters and brand owners that by choosing PP their sustainability initiatives will go full-circle, and won’t stop at the landfill. To further support this, the “2015-2016 Centralized Study on Availability of Plastic Recycling Study” reported that the majority of the US population has access to recycling programs that accept PP containers. Recycled polypropylene is currently being reused in a variety of applications such as home storage, composite lumber, flower pots and battery cases. 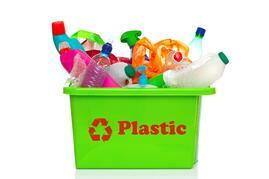 Looking improve the sustainability cred of your plastic packaging? 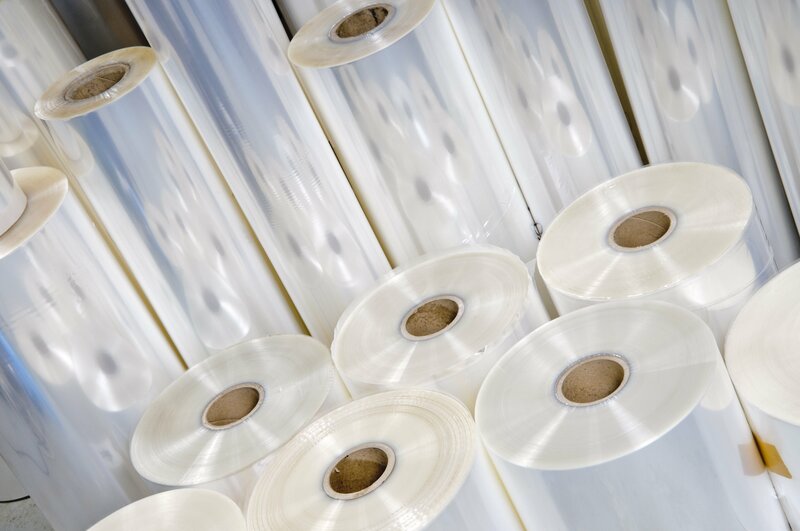 Get in touch with our team to learn more about how you can use polypropylene sheet for your next application.